July is just around the corner and the summer festivals will start soon. 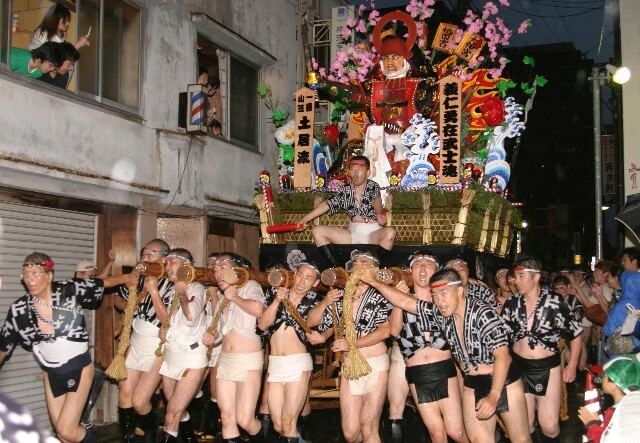 The air on the city has been infected with the very traditional Yamakasa festivities which start on the 1st and finish on the 15th of July with an exciting and difficult one ton float race around the area of Gion. Kushida shrine is the place where all these floats will begin their race and it is the main host for this event. During the festival in the daytime, the eight official floats with twelve great flags hoisted on the four large ones are carried for a parade, followed by some small floats for children. But in the nighttime, the floats are completely transformed into pyramids of light—huge Lantern Yamakasa floats, their decorations with the flags removed. 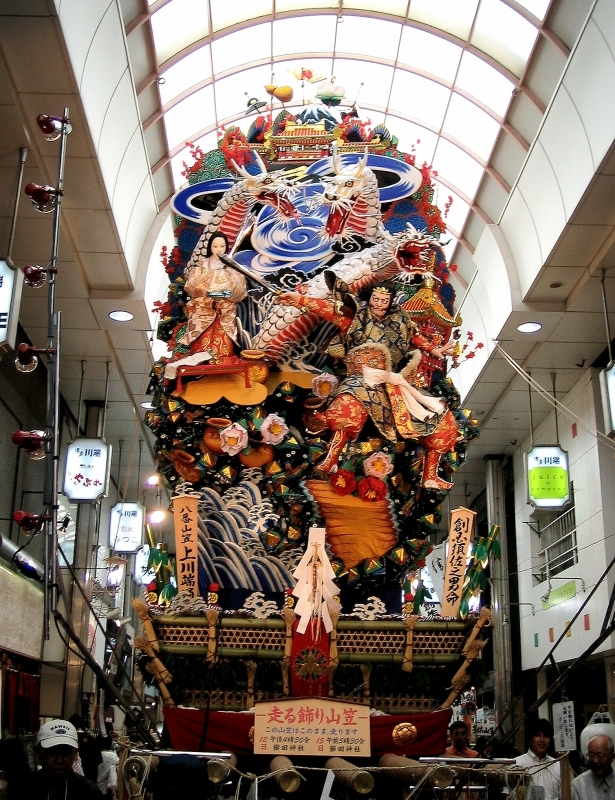 Each with twelve layers of 309 lanterns, 10 meters high, and 1.5 tons in weight, is shouldered by about 100 carriers. To move the Yamakasa is an art which requires concerted lifting by all the carriers. To ensure that they do it successfully, they all shout “yoitosa, yoitosa” together in a rhythmic chant with drums and cymbals. I have been living in Fukuoka for almost 3 years, I have been to the festival once and I thought, I have not been a very good visitor as I had missed the festival twice before. To my surprise, out of about a 100 people I asked about Yamakasa, I can confidentially say that only 10 percent of them mentioned ever witnessing the race in person. 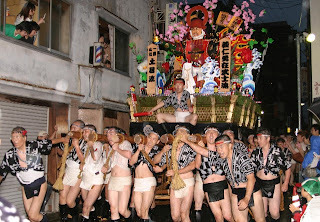 This was shocking to me as the Yamakasa festival is one the most famous around Japan. Some of them said the starting time of the race is too early for the ones who have jobs and for some students as well. A lot of people told me since they can see it on TV; they do not think it is necessary to be present to witness this particular and exciting event. I joined the Yamakasa event with the Asahi Nihongo`s staff and students last year and it was one the most exciting races I had ever witnessed. If you are in Fukuoka this time of year, I highly recommend watching the race in person as it is truly Japanese.